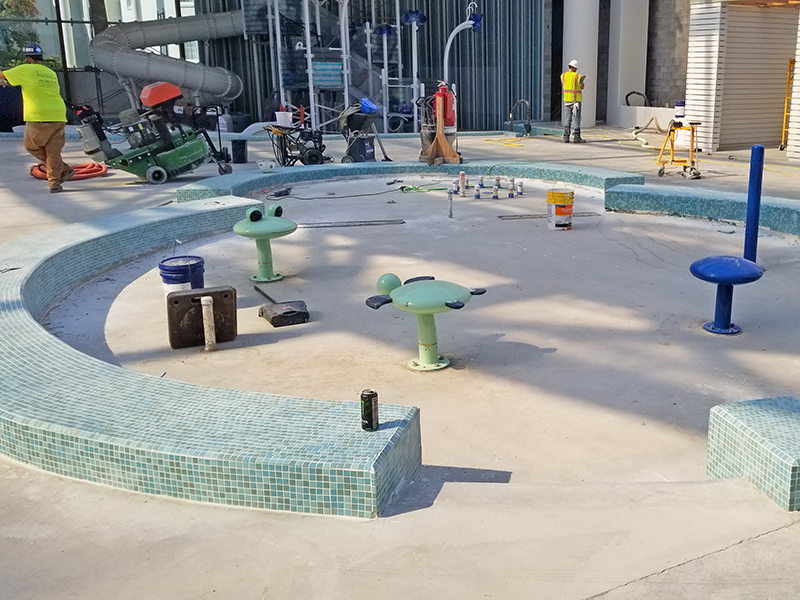 Aquatic Development Group (ADG) was contracted to design and build the featured water attractions at “SoundWaves” upscale indoor-outdoor water experience at the Gaylord Opryland Resort as part of their $90 million expansion project. 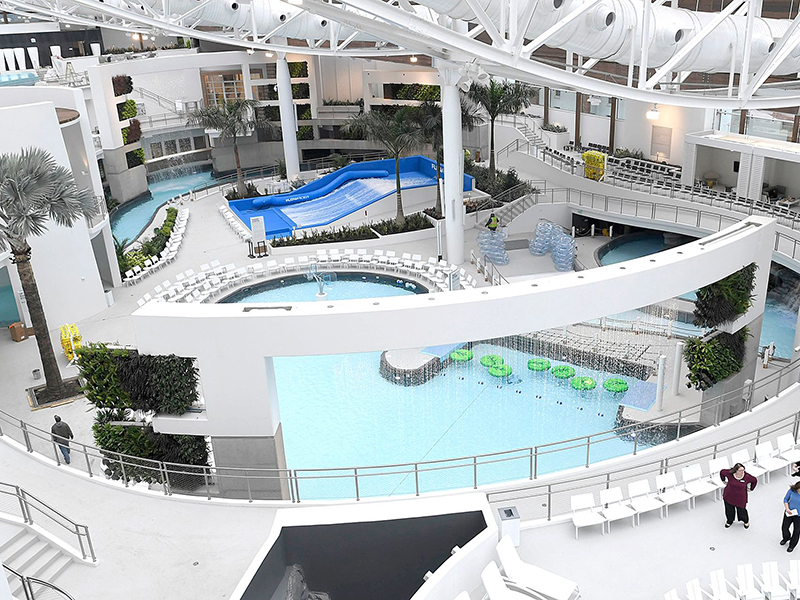 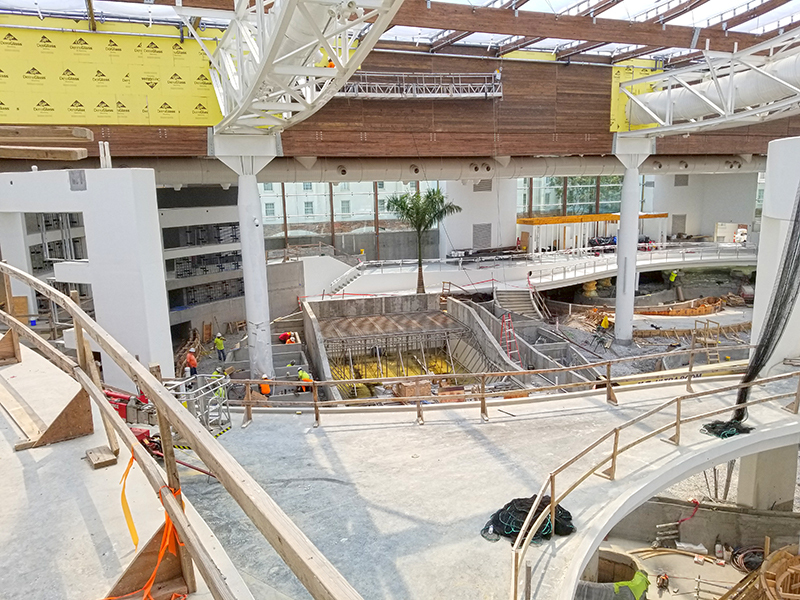 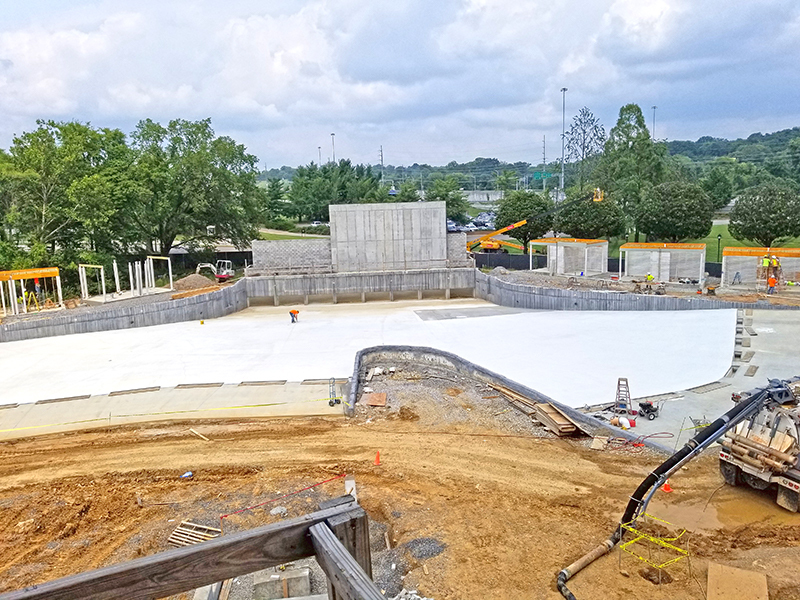 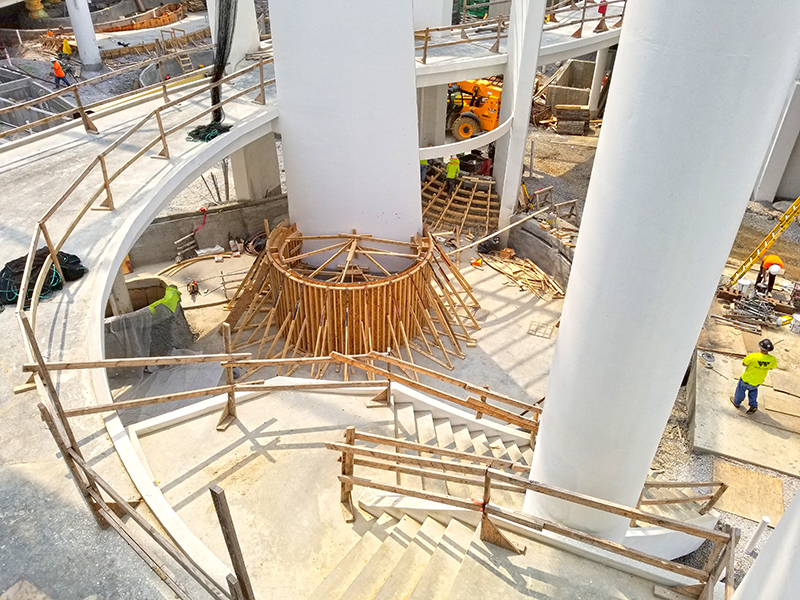 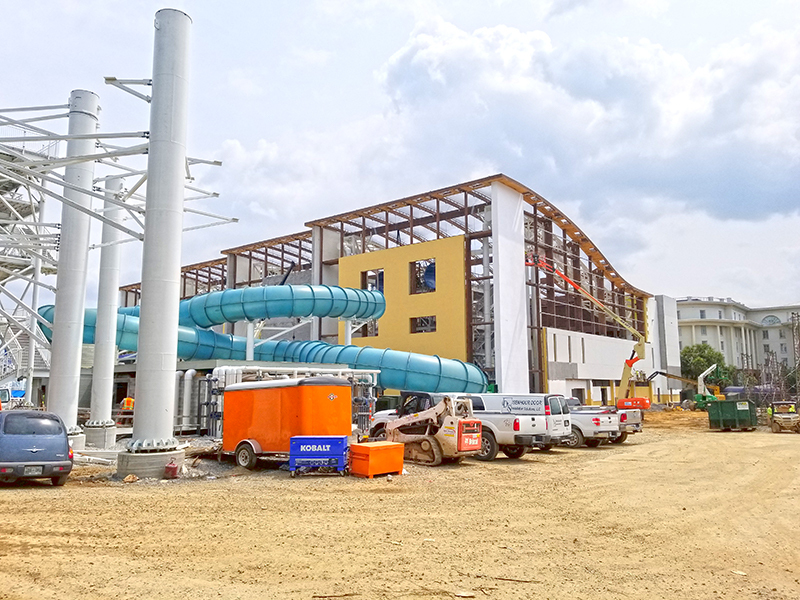 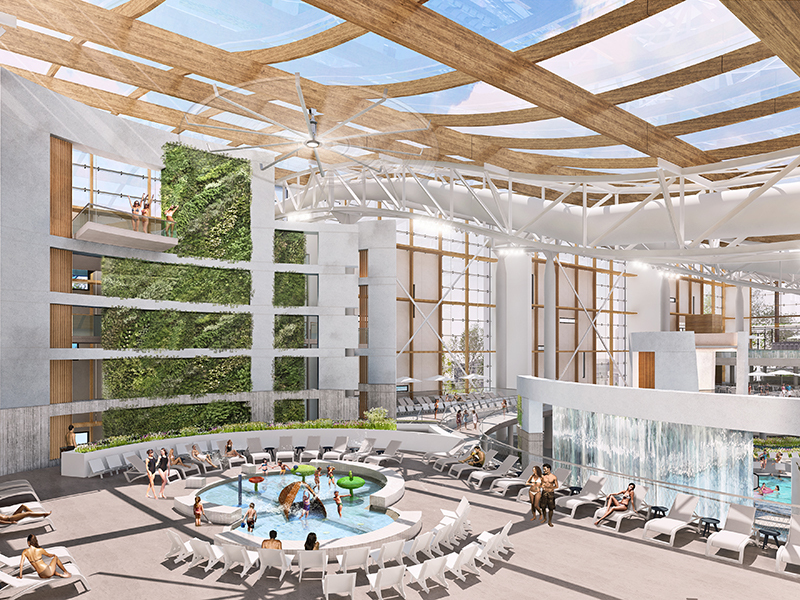 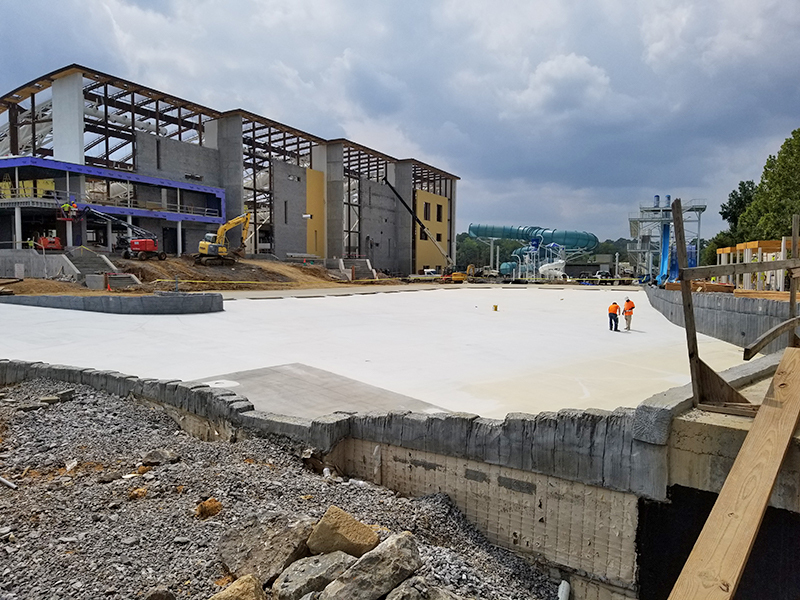 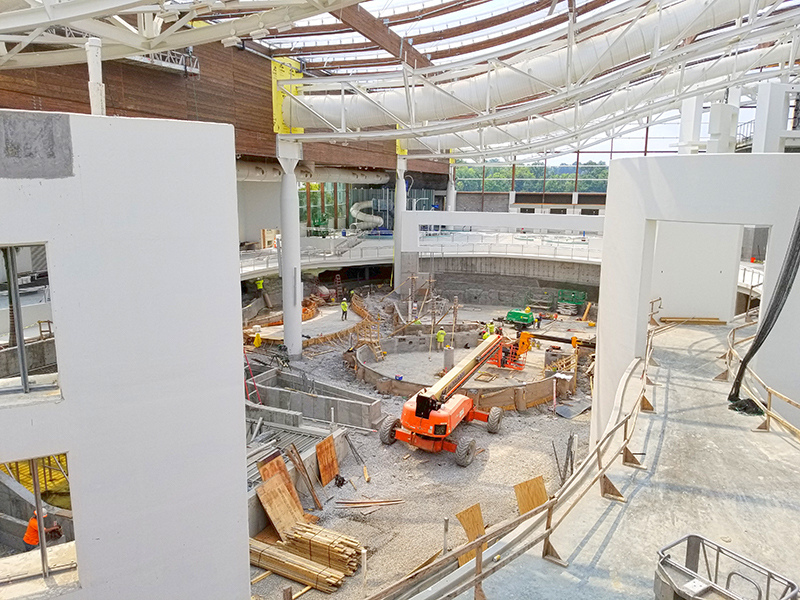 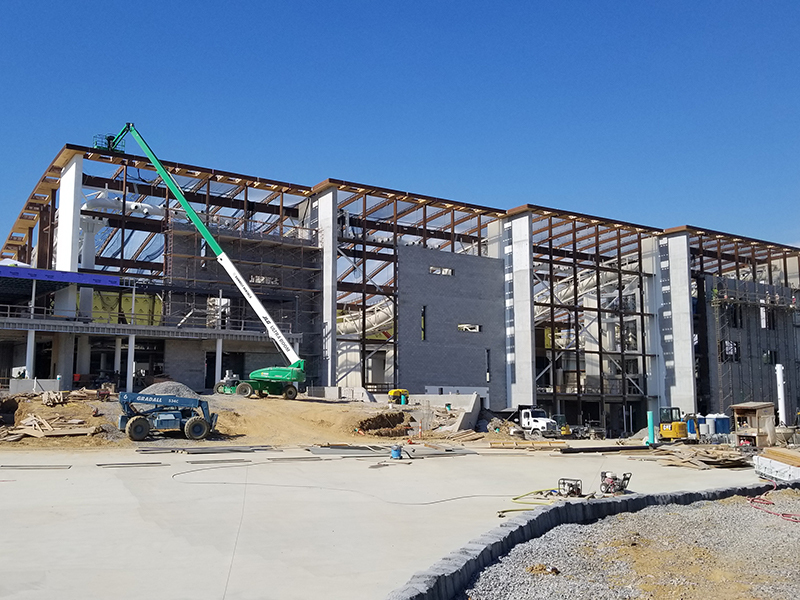 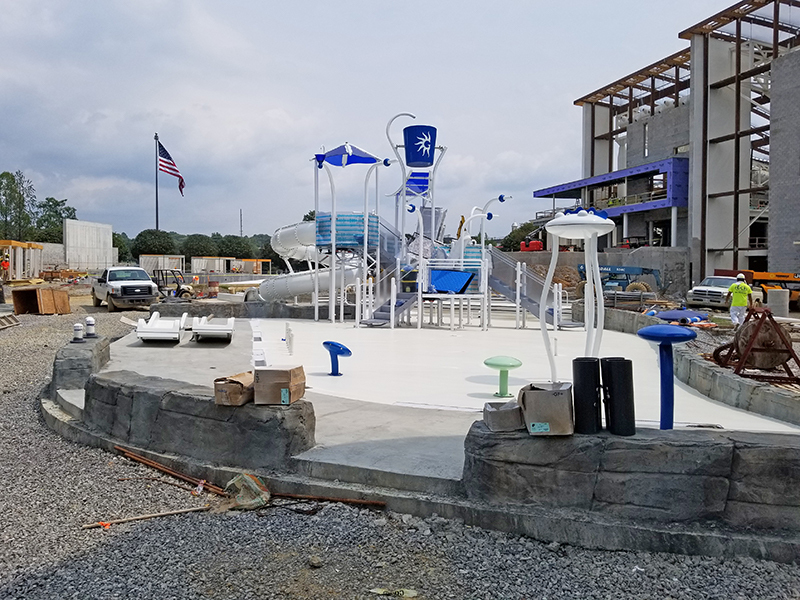 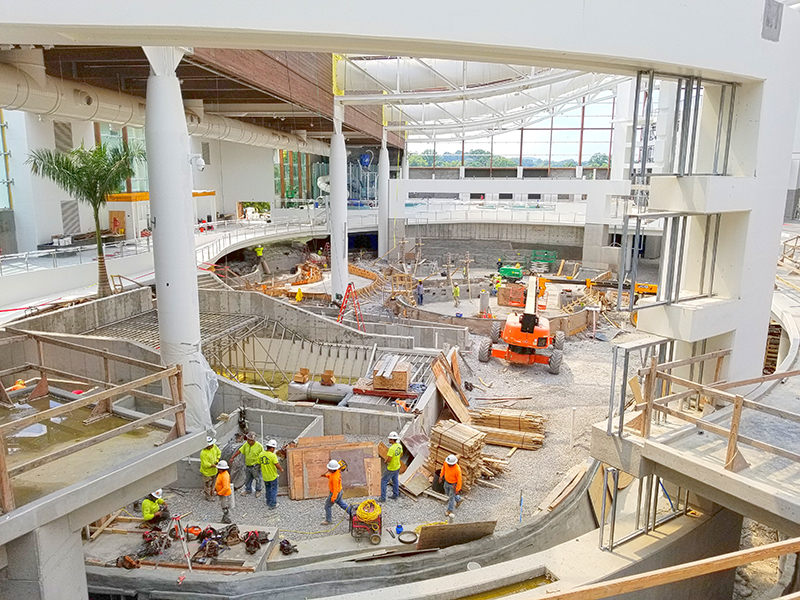 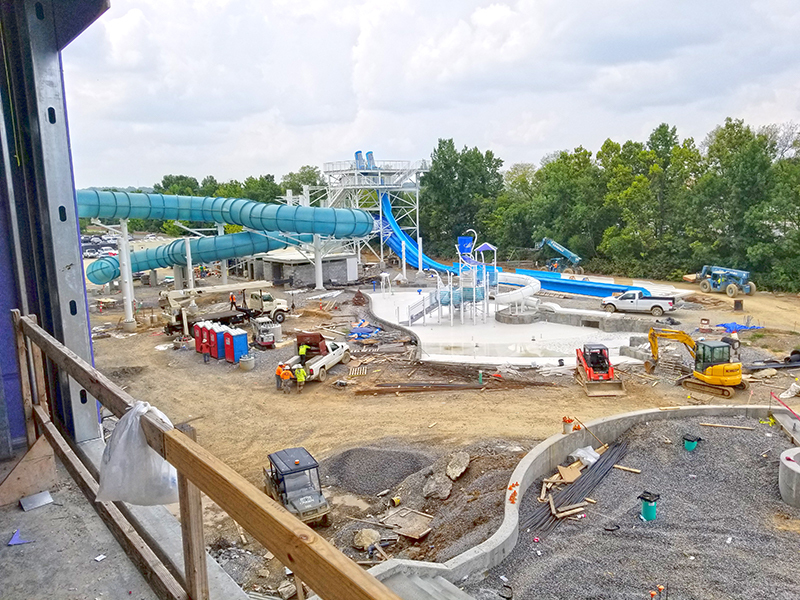 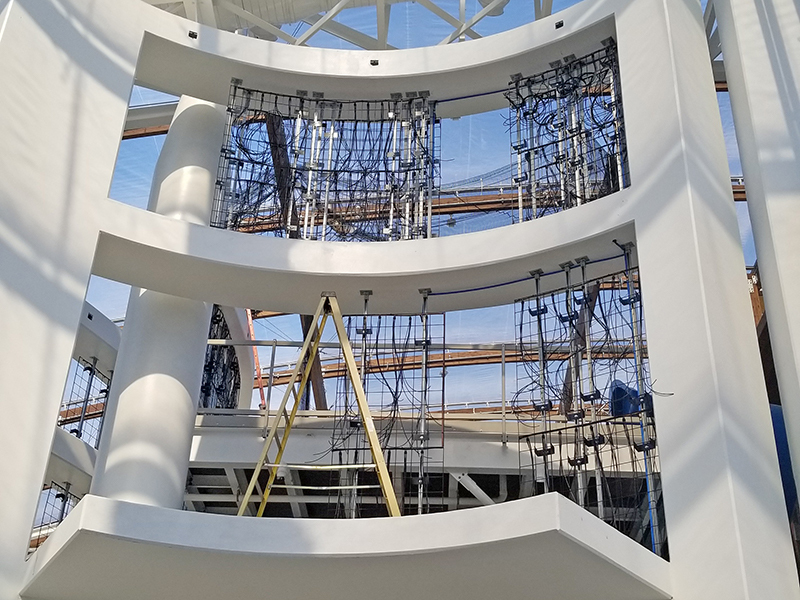 Located in Nashville, TN, and owned by Ryman Hospitality, the indoor water experience opened in December 2018, with the outdoor water area on track to open to guests in Spring 2019. 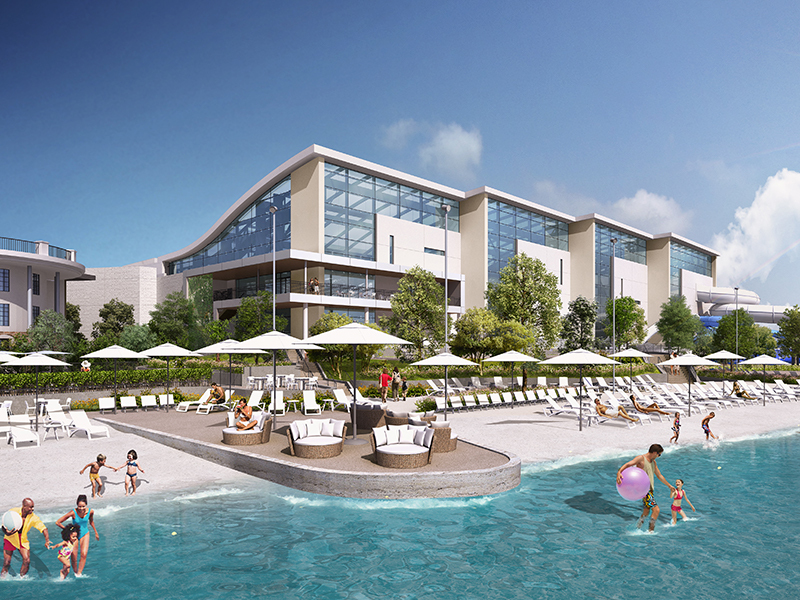 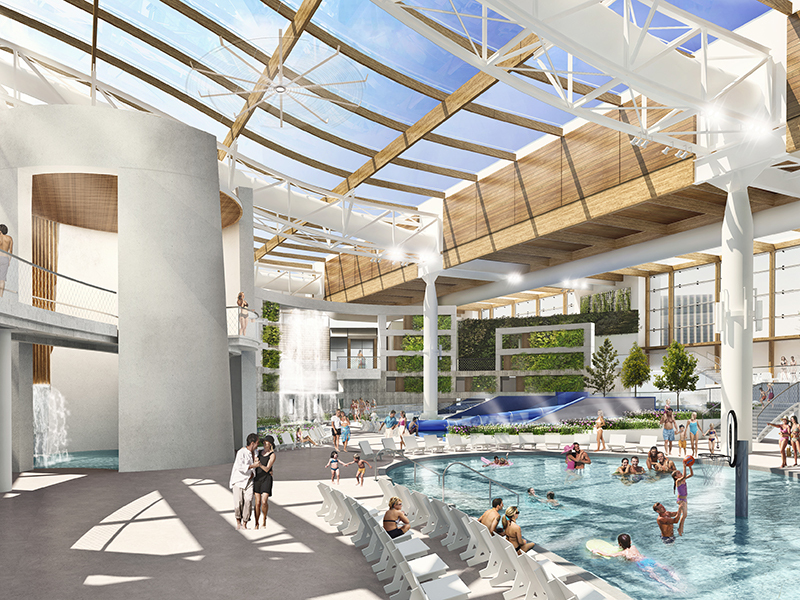 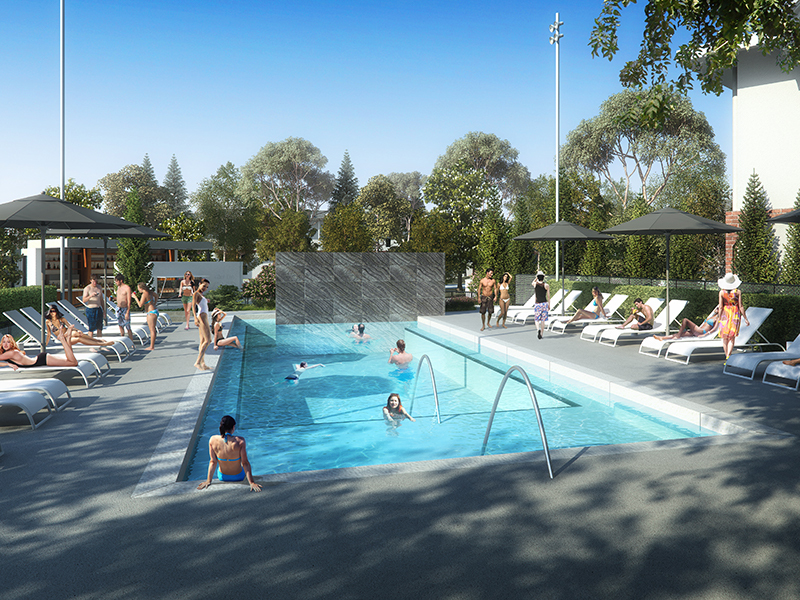 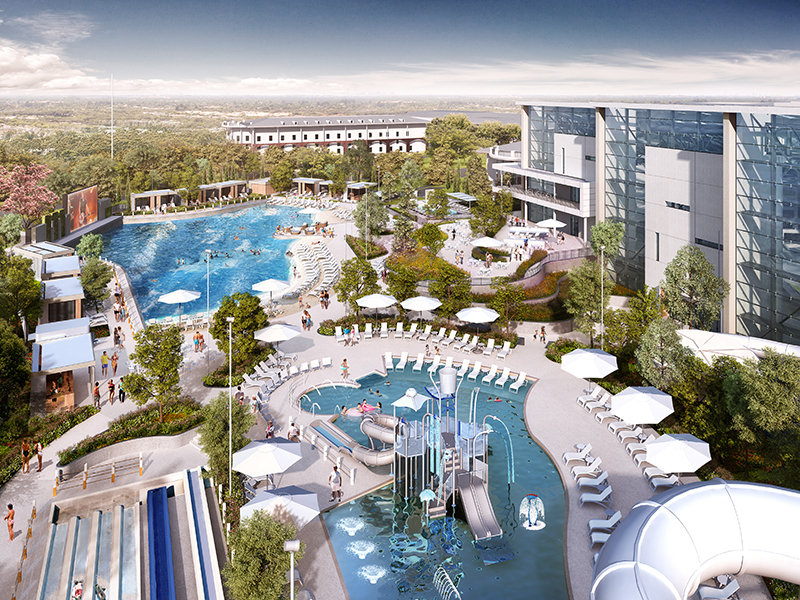 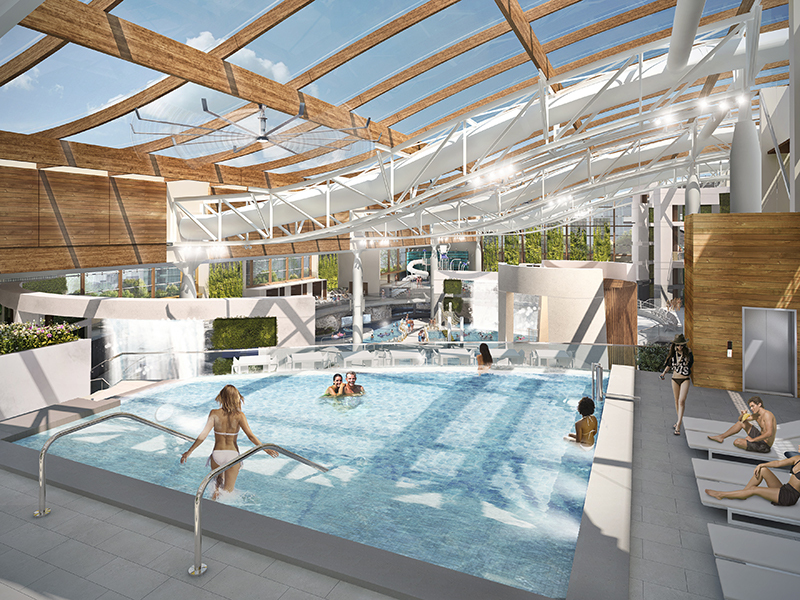 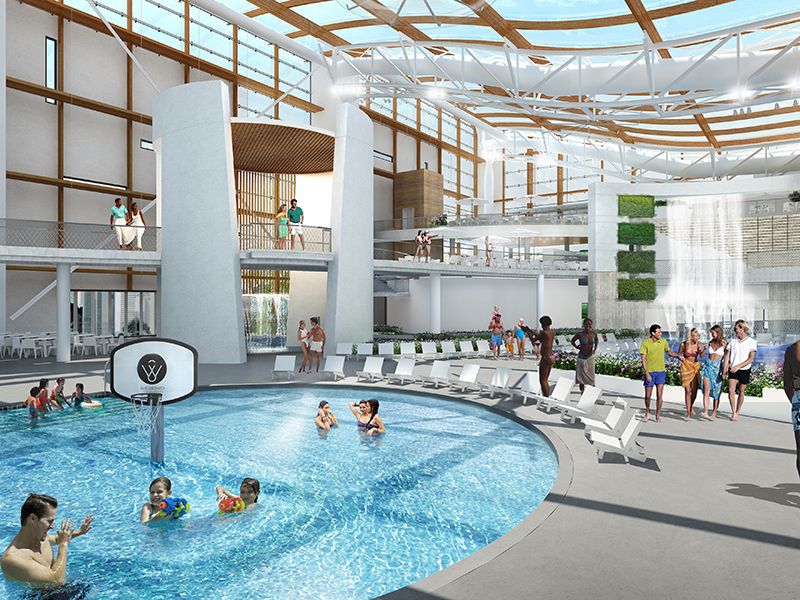 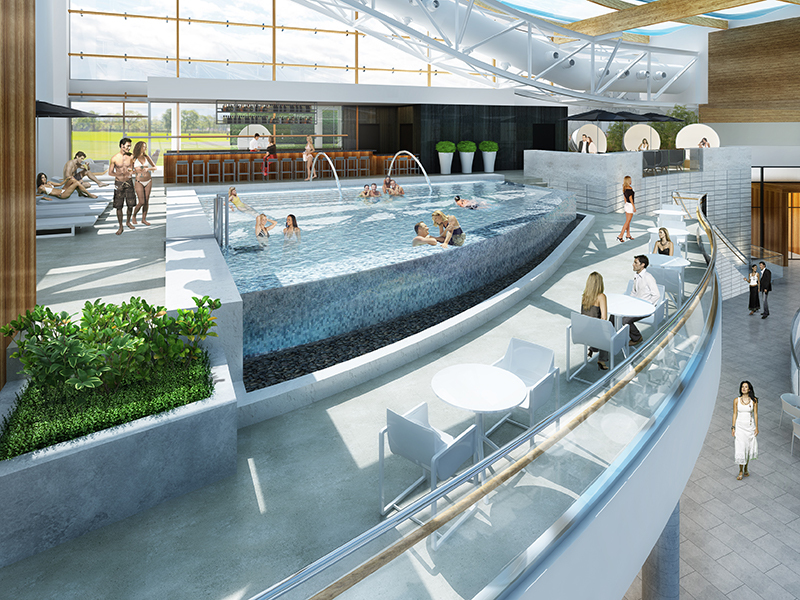 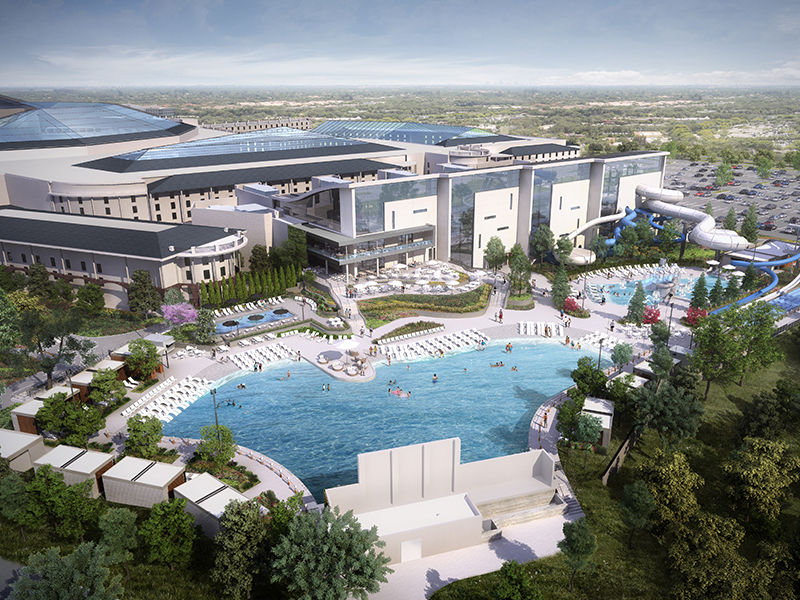 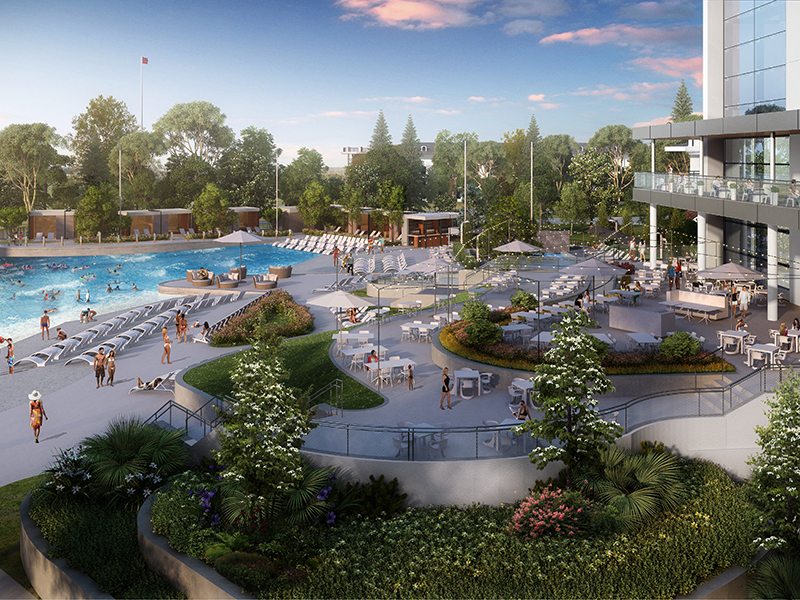 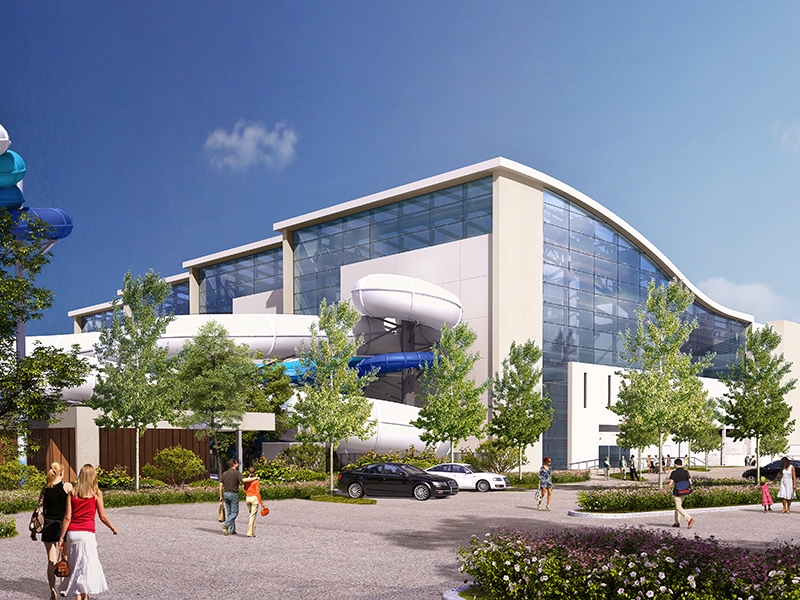 SoundWaves was designed as a four-acre, 3-level upscale indoor/outdoor water experience with dedicated recreation zones for adults, young children and families. 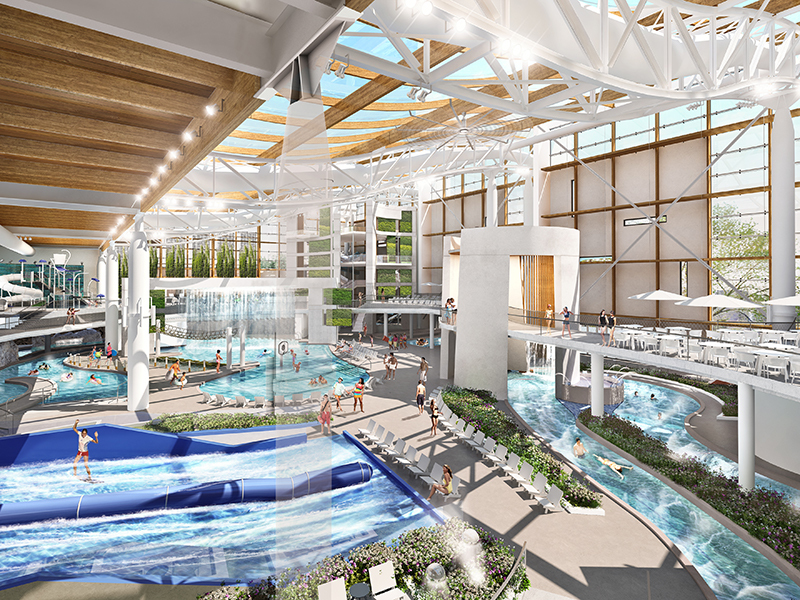 Year-round indoor attractions feature 111,000 sqft of upscale water activities including a slide tower, Double FlowRider®, rapid and lazy rivers, and an activity pool with rock climbing, basketball, and obstacle course sections. 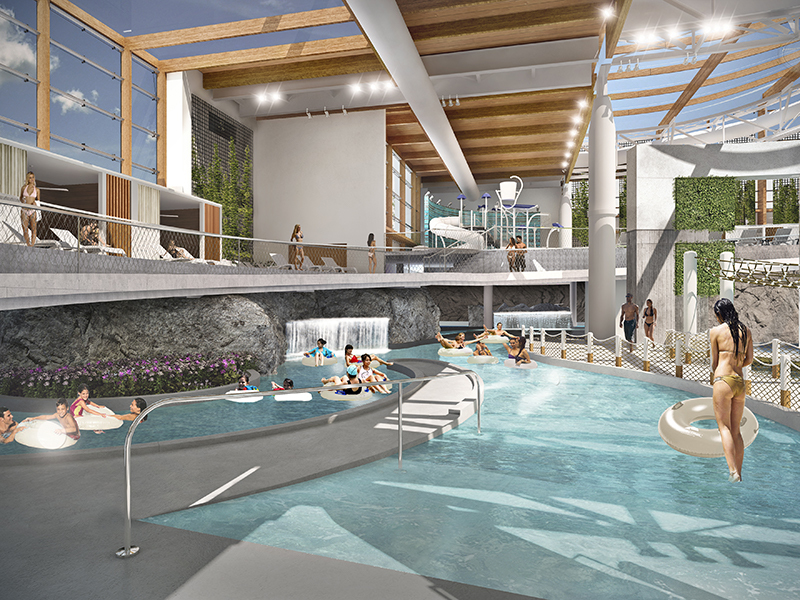 Multiple restaurants, an exclusive adults-only indoor pool, bar & lounge, and private cabana rentals for a total capacity of 747 seats round out the offerings. 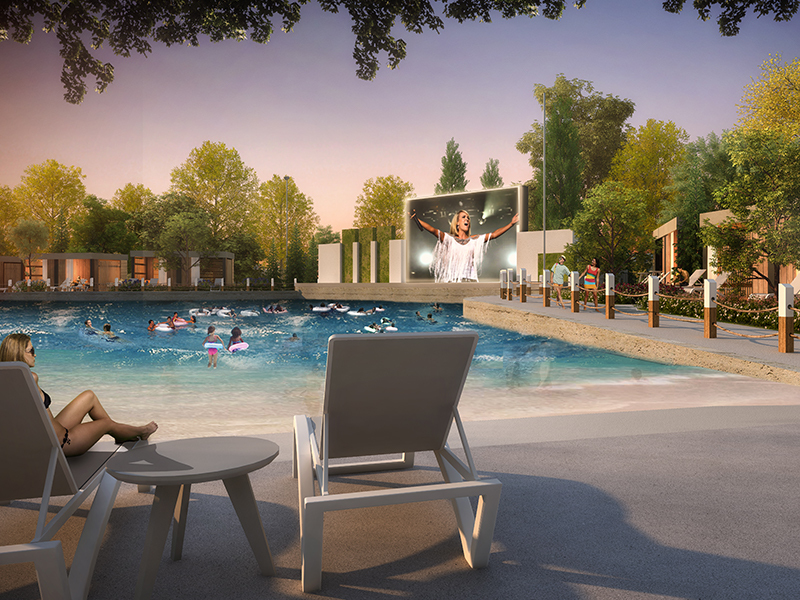 The outdoor water experience, designed with spacious seating for 866 guests, creates a relaxed feel the entire family can enjoy. 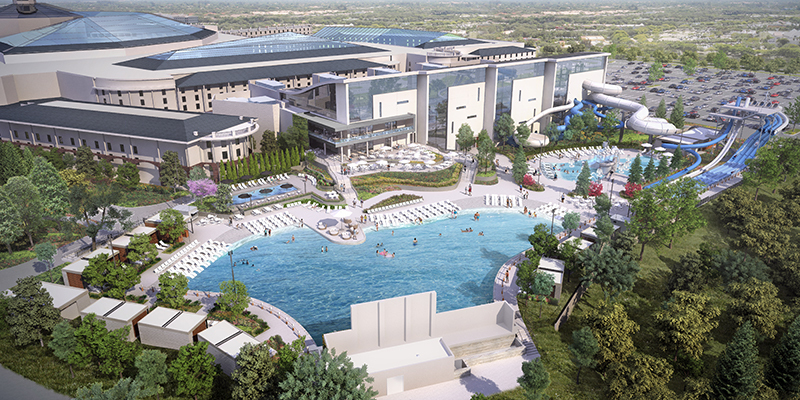 Attraction highlights include a 315,000-gallon wave pool with giant LED movie screen, a 45′ slide tower, and kids pool with multi-level play structure. 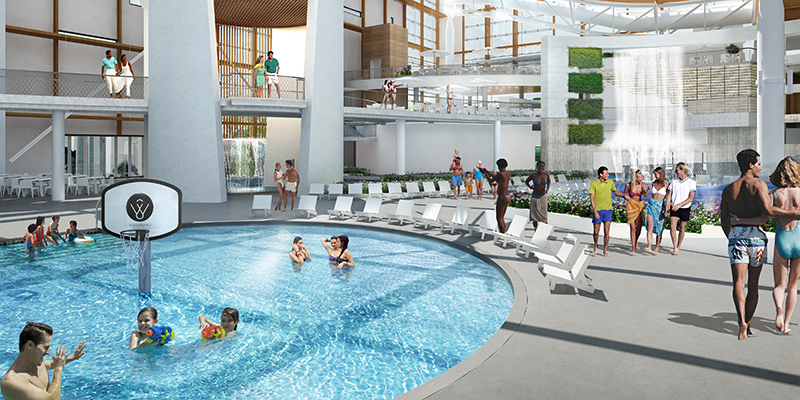 Multiple dining options, bars, lounging areas, an exclusive adults-only pool, and private cabana rentals provide the high-end resort experience that is synonymous with the Gaylord brand. 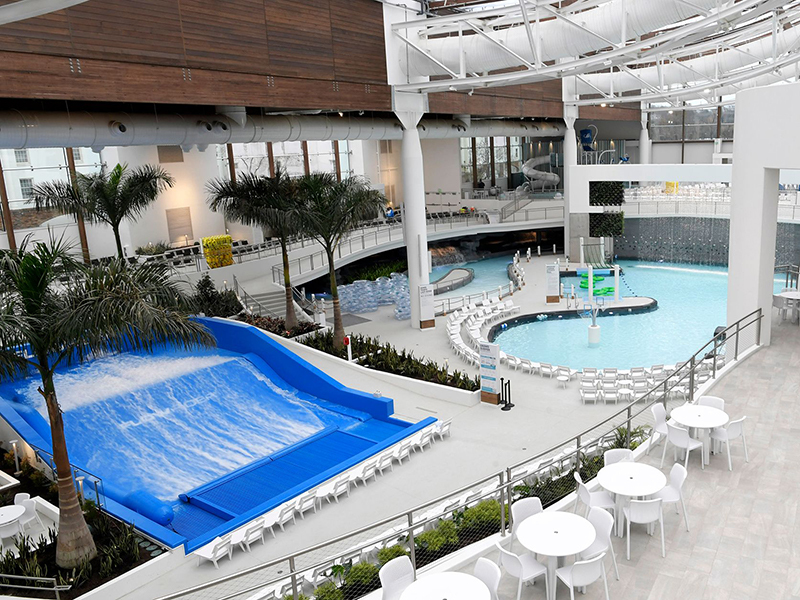 The SoundWaves water experience at the Gaylord Opryland marks a distinctive turn in the design and build of upscale resort water areas. 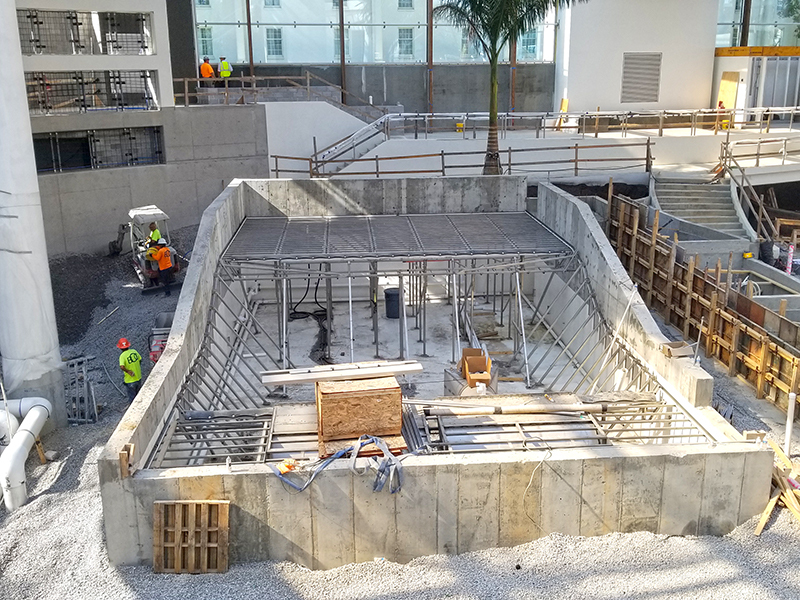 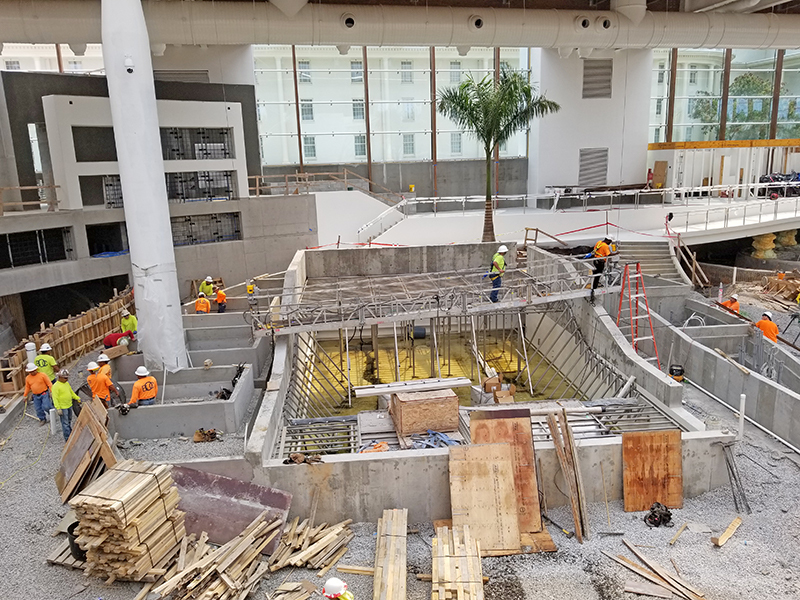 The start-to-finish design/build process employed by ADG provided oversight in the management of overall project costs and timelines on all water features, ensuring that the project was completed as planned, opening on-time and on-budget. 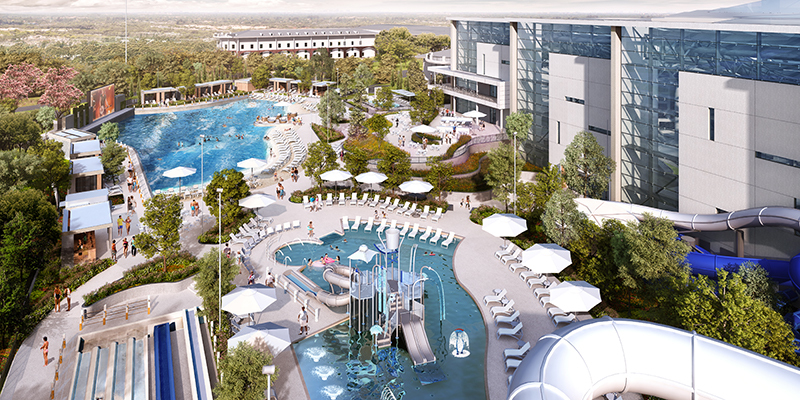 Download the Project Fact Sheet for more specifications of the project details and waterpark attractions.